My friend, and fierce advocate for any little boy who has ever tried on a dress, Helen Boyd, posted the following YouTube link on her blog today. I'm excited, because the tale of the Gay Crewes in New Orleans is not just fabulous, but it was crucial in the fight for basic human rights for all queer people; as usual, the Queens led the charge.I cannot wait to see this documentary. 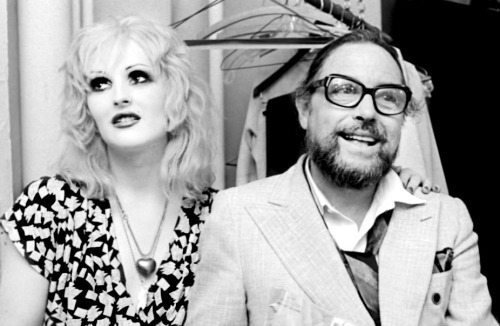 Serendipitously, I also found this photo of Tennessee Williams and our delicate Prophetess, Candy Darling. They appeared together in one of Williams last plays,"Small Craft Warnings" in 1972. To call Candy a "Drag Queen" doesn't dishonor her, but it sadly under-informs the listener about who she was, and the impact she had on all of us who followed her. Here they are, two beautiful and fragile creatures who were decades before their times, destroyed by the clumsy hands of U.S. culture.